Folk Art Little Bird Fountain | Fountain City Art Ctr. 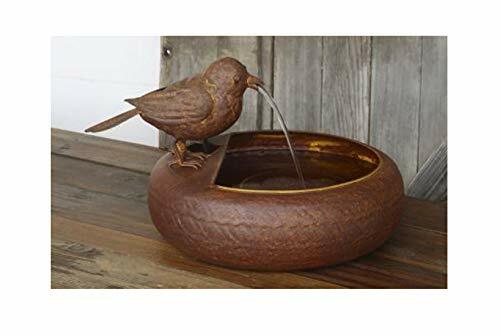 This scaled-down fountain features a cute little folk art bird who spits water into a rusted-finish basin. This whimsical fountain is perfect for your port or patio. Measures about 12 inches in diameter. If you have any questions about this product by Farmhouse Lane, contact us by completing and submitting the form below. If you are looking for a specif part number, please include it with your message.